Every year, large numbers of people suffer from something called 'resortitis'. It is a rather unpleasant condition encountered at the end of a particularly fantastic skiing or snowboarding holiday in the mountains. The symptoms include a very specific sinking feeling when remembering that you will be at work again on Monday, and the reaslisation that it will be another twelve months before you will get your next season fix. Thankfully, a highly successful cure has been developed and is being offered by a growing number of companies. It is called, the instructor training course! Can anyone become an instructor? Basically yes, although you do need to be reasonably conpetent before they will let you enrol on the level 1 course. Bringing your technique up to a level where you can start telling other people how to ski is one thing, but if you cannot ski yourself then you are looking at the wrong type of course. Take a look at this drawing. For skiers, you're going to have to be parallel skiing and making smooth and consistent turns on red runs. For snowboarders, you are looking at about four weeks of experience as a pre-requisite. You may be British, but that does not mean you have to take the British version of the instructor training course. Confused? Let me explain. Countries can never agree on anything and the same applies for snowsport instruction courses. What we do all agree is that the international governing body is the ISIA or International Ski Instructors Alliance. They then sanction the country level bodies, which basically means that you can take most versions and still be equally qualified to teach in any country. For example, you could take the British course (BASI), in France, then go on to teach in Canada. Or you could travel to New Zealand, with a British company, take the NZSIA course and teach in Switzerland. The one massive catch comes in the form of the French, and to some extent, the Italians. They like to do things a bit differently so if you really have your heart set on teaching snowsports in either of those countries, you have a bit more reading to do, and probably a lot more practice! While it used to be nigh on impossible to teach in France, it is now perhaps best described as not simply a case of rocking up with your level 2 certificate, designer apparel and sufficient vocab to order a good steak and a bottle of rouge. As mentioned, level 1 is the starting point. This really is the basic first rung on the ladder and will allow you to teach in a non mountain environment, ie dry and indoor slopes. If you seriously want to teach in resort then you should be looking at level 2 as a minimum, this goes for snowboards as well as skis. Level 1 on its own is far from pointless, indeed it is a pre-requisite for the level 2 course, but you will find a lot of companies who offer instructor training courses, especially for skiing, bundle the first two levels together so that you complete 1 and move straight on to 2. Short duration courses can be pretty intensive. That certainly suits a lot of people, especially if you are short on time, but some prefer to mix the experience with plenty of free time and maybe some hands on teaching experience built in. 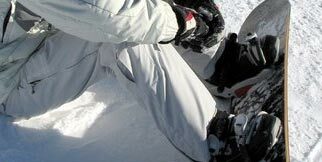 In order to complete each level you will usually need to demonstrate ski school experience, which means proper teaching. Being shown how to improve your technique and being taught about group management and customer care is relatively simple to take in, but always remember that you are there to learn how to teach other people. So before anyone will write your name on a certificate, they are going to want to see you get stuck in. Level 1, minus the logged hours of teaching, should last anywhere from one to three weeks. While level 2 could be anything from six weeks to three months, depending on how much extra is built into the course – think avalanche training, first aid course, park and freeride, etc. Even if you are completely new to instructing, as a skier or snowboarder, you've probably already heard of the different coaching courses. The best way to decide which is the best suited for you personally is to speak to the people who serve up the courses every year. They are all super approachable and know everything there is to know about getting started. Call a few of the companies in our courses section or fire a question our way on our facebook or google plus pages and we will do our best to advise you.